Child Life's goal is to promote positive experiences for your child and to help him or her continue to grow throughout the hospital experience. These teaching sheets are designed to introduce common procedures to patients at American Family Children's Hospital. What is a blood draw? A blood draw is a procedure ordered by your doctor. During the procedure a small amount of blood is taken from your vein (the blue lines in your hands, arms, or feet) in order to check your blood or how your body is working. What will I see and feel? Tourniquet: A tourniquet looks like a long, blue rubber band and is used to help see your veins better. It will feel like a tight squeeze on your arm or hand. The butterfly needle has green parts on each side of the yellow tube that look like butterfly wings and help the medical staff hold the needle carefully. These butterfly needles are used just for kids. Some kids say they feel a little pinch when it goes in. A syringe is connected to the small plastic straw at the end of the butterfly needle. The syringe is used to collect the blood. The medical staff will only take a little bit of blood. Your body is always making new blood! The tube (or vial) with the purple cap is where your blood goes to keep it safe from germs. The tube will be sent to another room where your blood can be checked. Dressing: Once the blood draw is done, the medical staff will put a cotton ball or white cloth called gauze (left picture) on your arm and make sure it stays in place with some soft white tape or a cool Band-aid (right picture). Sit in your favorite chair and have someone time you for three minutes to see if you can stay still. While you are sitting there, try and think of a place that makes you happy, or you can practice taking deep breaths like you’re blowing out birthday candles. Pain control: LMX topical numbing cream that can reduce the sensation of the blood draw (the cream needs be on the skin about 20 minutes to be most effective), BUZZY Bee (uses vibrations to provide natural pain relief). Comfort positioning: Ways you can hold your child to reduce stress and promote the caregiver-child connection. Child Life Specialist: Individuals who prepare you and your child for the procedure and provide support during your clinic visit. Distraction: Often provided by Child Life Specialists, but can be done by caregivers. You can use books, toys or any other comfort item to take your child’s attention away from procedure. Children take cues from their caregivers, so it is helpful to remain calm. For additional ideas or support during a blood draw, please call Child Life at (608) 890-7888. You may also ask staff to page a Child Life Specialist (if available). Why is my cast being taken off? Your cast has been keeping your bones and part of your body (like your arm or leg) safe and still so it has time to heal (or get better). When your bones have healed it’s time for the cast to come off. Since your body part has been hiding under the cast for a while, it may look different when it comes out of the cast. It may look smaller or a lighter color, but once you can move it again, it will become stronger. To take your cast off, a machine that sounds like a vacuum will be used. The machine is used to cut only the hard, colorful part of your cast. It will not touch your skin. You may feel a vibration or a tickle as it makes two lines down your cast. You can ask the person helping you to see, feel, and hear the machine before it is used on your cast. What does a cast saw sound like? If you do not like the sound, you can ask for headphones so you don’t hear it. A cast splitter will be used to spread apart the hard, colorful part of your cast. This tool will only touch the outside part of your cast, not your skin. You will be able to see the soft, white cotton underneath your cast. These special scissors are not like the scissors you use at home or school, they are used to cut the soft, white cotton underneath your cast. The cotton is wrapped around your skin to keep your body part comfy inside the cast. The scissors can’t cut your skin but might feel a little cold when they touch you. After your cast comes off you might get some x-ray pictures, a new cast, or a splint. A splint is like a soft cast and can be taken on and off. It helps to keep your body part safe while it gets stronger. Sit in your favorite chair and have someone time you for three minutes to see if you can stay still. While you are sitting, try to think of a place that makes you happy or practice taking deep breaths in through your nose and out through your mouth like you are blowing out birthday candles. Distraction: You can use books, toys, or any other comfort item to take your child’s attention away from the cast removal. Children take cues from their caregivers, so it is helpful to remain calm. Pain Control and Anxiety: Ask your nurse about medications prior to the cast removal appointment. Deep breathing and a calm, non-crowded room help in relaxing a nervous child. For additional ideas or support during a cast removal, please call Child Life at (608) 890-7888. CT is a large camera that is shaped like a donut. You will be asked to lay on a special bed. While you are lying down you will see red lights. These red lights make sure you are lying down straight. There is a big circle inside the donut that will spin around while it is taking your picture. During your CT scan, you will hear a sound like a washing machine. Your Mom or Dad can be with you when your pictures are taken. 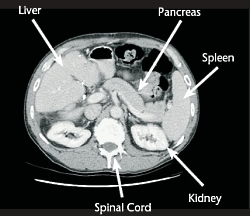 Some patients will be given contrast (a liquid to help the doctor see your organs better) before receiving a CT scan. This is given to you through an IV, which is a small plastic straw that sits in your vein. You do not drink it, but it still might give you a new taste in your mouth. Lie down on your bed and have someone time you for five minutes to see if you can stay still. While you are lying there, try and think of a place that makes you very happy. This makes the time go very fast. 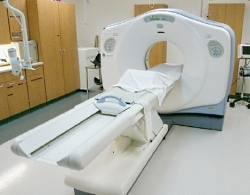 In most cases, you will be able to stay with your child during their CT scan. While supporting your child, you can sing or read stories to them. You may want to avoid asking questions, as younger children often answer by nodding their head. To get clear pictures, it is important for your child to stay very still. For additional ideas or support during IV start or CT scan, please call Child Life at (608) 890-7888 or (608) 890-8096. You may also ask the CT staff to page a Child Life Specialist. An EEG, which stands for electroencephalogram, is a test to see how your brain is sending messages to your body. Before this test, an EEG technologist, or tech for short, will meet with you and your family. It is the EEG tech's job to place small colorful wires (sometimes called leads) on your head. This is the first part of the test. Here is a picture of the wires. The round part at the end of the wire is sometimes called a "button." For the rest of the EEG test, a computer will look at how your brain works when the wires are hooked up. This part may last only 20 minutes; or may take place overnight or for several days. If you are having a test overnight or for a few days, you can still play and do activities while the test is happening. Sometimes kids get video EEGs. This type of EEG uses a camera to record a video of what your body might be doing when you have a seizure, especially overnight or while you are sleeping. What will I feel, hear and smell? Nu Prep: Nu Prep is a green gel that helps clean your skin. It feels like lotion with sand in it. The tech will use a Q-tip dipped in Nu Prep to wash small areas on your head where the wires will go. Paste: EEG paste looks like really thick frosting and is used to keep the wire on your head. The tech will put paste on the button at the end of the wire and gently press it on your head. Gauze and Glue: The tech will put some glue on a small square of soft material (called gauze) that goes on top of the button. Some kids say this glue smells stinky. It's OK to plug your nose or cover your nose with a blanket. Air Hose: The air hose is used to help dry the glue on the small square of gauze. The air hose is a piece of metal, smaller than a pencil. It is not sharp and does not poke. Sometimes kids think the air hose sounds like a blow dryer. Before the tech uses the air hose, you can ask to feel the air and hear what it sounds like. Gauze Head Wrap: After all the wires are in place, the tech will wrap your head with a soft gauze. Sometimes we call this a hat. We use the gauze hat to make sure all of the wires stay on. If you want, you can even decorate your hat with stickers. The wires from your head will be plugged into a box that is connected to the computer. This box will be placed in a "backpack" that you will have to carry with you when you move around in the room. What can you do during EEG wire placement? Your most important job is to sit as still as you can so that the EEG tech can put the wires in the right place. While the tech is putting on the wires, you can play with toys or watch a movie. Sometimes it is hard to hold still on your own, so there might be another staff person that helps remind you to hold still. You might also be able to sit on a caregiver's lap for comfort - ask your tech(s). After all of the wires are placed and you have your gauze hat on, the tech might ask you to look at a flashing light or take deep breaths. Now you can play and do activities in your room, just make sure you take your "backpack" with you wherever you go. What to expect: Although EEGs do not hurt and there is no poking involved (a common worry for children) some children can find EEGs to unpleasant. They may struggle with holding still, having someone touching/rubbing their head, or with all of the sensory experiences (glue smell, sound of air hose, etc). Below are some techniques that may help make the process a little easier for your child. Comfort positions are ways to hold your child during a procedure that help your child feel cared for and safe while the EEG leads are being placed. Ask the medical staff for help in using comfort positioning with your child. Distraction from a Child Life Specialist or caregiver can also be helpful in supporting your child during an EEG. Keeping their attention focused on something else such as toys, books, or comfort items from home may make the process easier. Practice at home before you come to the hospital for your child's EEG, it can be helpful to talk to about the test and practice doing an EEG at home. See the activity below to practice some of the steps for an EEG before you and your child come to the hospital. Gather the following supplies: doll or stuffed animal, round Band-Aids, yarn (12-inch pieces), Q-tips, lotion and roll of gauze or cloth. Dip a Q-tip in lotion and rub a small amount on different areas of the doll's head. Attach a piece of yarn to a round Band-Aid (this will be the EEG wire) and stick the Band-Aid on one of the areas of the doll's head that was prepared with lotion. Use a hair dryer to "dry" the glue for the pretend wire. Continue placing the wires until your child decides there are enough (At AFCH, a typical EEG uses 23-26 wires). Band-Aids can be stuck on the doll's head and forehead. After all of the wires are placed, wrap the doll's head with the gauze or cloth. Throughout this activity, it is helpful to remind the doll to "sit still" as this will be your child's main job when the wires are being placed. If you wish to take this a step further, you may have the doll look at a flashing light or tell the doll to take deep breaths for a few minutes. Some children may also want to practice on themselves at home. You could try the above techniques on your child as well (minus the Band-Aids; do not stick Band-Aids in hair) to get them used to the feeling of someone touching and rubbing their head, and the sound of the blower. This practice may give you a good idea if your child will need some extra support or distraction for the EEG lead placement. For additional information or support for your child's EEG, contact Child Life at (608) 890-7888. You can also ask medical staff to page a Child Life Specialist (if available). An IV is placed in your vein (the blue lines you see in your hands, arms or feet) where you can get medicine or have a small sample of blood taken for tests. Tourniquet: A tourniquet looks like a blue rubber band and is used to help the nurse see your veins more easily. It will feel like a tight squeeze on your arm or hand. Soap: A sponge with liquid soap that is used to help wash the area on your hand or arm. To get the soap out, the nurse has to squeeze the handle, which makes a loud crack noise. Sometimes kids think the soap smells. It will feel cold and wet. IV Catheter: The tiny tube that will go into your arm or hand. It looks like a tiny straw and it is smaller than a paper clip. When it goes in, some kids say it feels like a pinch. IV Tubing: Clear tube that connects to the IV that your nurse can use to give you medicine or fluids. Saline Flush: A syringe of water that is put through the IV tubing to make sure the IV is working. Some kids notice a smell or taste when the water goes in the IV. It might feel cold. Dressing: The tape and clear stickers used to keep your IV in place. It feels sticky like a Band-Aid®. Comfort positioning: Ways you can hold your child to reduce stress and promote the parent-child connection. Treatment room: On the inpatient unit, a place just for procedures that allows your child’s room to be a safe place. Child Life Specialist: Individuals who prepare you and your child for the procedure and provide support and activities throughout your visit. Distraction: Often provided by Child Life Specialists, but can be done by parents. Using books, toys, music, or any other comfort item to take your child’s attention away from procedure. Children take cues from their parents, so it is helpful to remain calm. For additional ideas or support during an IV start, please call Child Life at (608) 890-7888. You may also ask staff to page a Child Life Specialist (if available). A kidney biopsy is a test where doctors take a small sample from one of your kidneys to see how they are working. When you come to the Diagnostic and Therapy Center for your test, you will meet nurses and doctors. You will also meet someone who is called an ultrasound technologist. This person will take pictures of your kidney. Your mom or dad will be able to stay with you the whole time. There will be a bed for you to lie on for your ultrasound and kidney biopsy. Next to the bed will be a cart with an ultrasound computer. The lights will be dimmed so the technologist can see the pictures better. During your ultrasound, the camera will not make any noise. During the kidney biopsy, you will be very sleepy or be sleeping, but may hear people talking and may hear a clicking noise. For your test, the doctor will ask you to lie still on your back or stomach. You may need to put a pillow under your tummy to help flatten your back. In order to make the ultrasound pictures show up on the screen, the technologist will apply some clear gel on the camera wand. He or she will touch the camera wand to your back or tummy to see your kidney. This may feel cool and slippery. When it is time for your biopsy, the nurse will give you some medicine through an IV, which is a small plastic straw that sits in your vein. Depending on the medicine given, you may feel sleepy or be sleeping. You will also be given some numbing medicine for your back. A nurse will be there to make sure that you are comfortable. When the doctor is done with the biopsy, they will stop giving you the sleepy medicine and you will slowly wake up. There will be a bandage on the spot where the doctor did the biopsy. When the kidney biopsy is over, you will either stay in the Diagnostic and Therapy Center or go to an inpatient room to finish waking up and rest. You will need to stay in bed for 24 hours. You may sit up part way to eat, drink, or do quiet activities. You may also get up to go to the bathroom. Additionally, activity in sports and gym class must be limited for ten days following the biopsy. It takes about one week for final results. To help your child prepare for their kidney biopsy, you can practice by putting lotion on a smooth toy and pretending that it is an ultrasound. Allow your child to give you an ultrasound too. You can also practice having your child lie on his or her stomach with a pillow under the tummy. Taking slow, deep breaths is a useful relaxation tool that may be helpful during the biopsy. Pretending to blow bubbles or birthday candles is typically effective. For additional ideas or support during your kidney biopsy, please call Child Life at (608) 890-7888 or (608) 890-8096. You may also ask the kidney biopsy staff to page a Child Life Specialist. When you get to the MRI room, you will meet someone called an MRI technologist. You will also see the MRI machine, like in the picture above. Some kids think the camera looks a lot like a spaceship or a train tunnel. What do you think it looks like? During your MRI, there is a light in the tunnel but there isn’t much to look at. This is a nice time to close your eyes and think relaxing thoughts. Some kids think about a beach, floating on a cloud, or a vacation they’ve been on. Other kids fall asleep. What do you want to think about? During your MRI, you will hear loud knocking noises and clicking sounds. They will give you ear plugs so it is not too loud. During this part, it is important to stay very still. 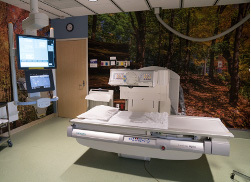 When your MRI begins, you will feel the bed move inside the "tunnel" where the camera is going to take your picture. Since you need to lie very still, the bed moves for you. If you are having an MRI of your head, you also get to wear a helmet. A seat belt will be put around your tummy to help remind you to stay still. Some kids will be given contrast (a liquid to help the doctor see your organs better) towards the end of the pictures. This is given to you through an I.V., which is a small plastic straw that sits in your vein. Try lying down on your bed or couch for five minutes. Have your mom or dad keep track of the time. Do this about 5 to 10 times with a short break in between. If you are having an MRI of your head, do this with a helmet on. While you are doing this, you can make up a relaxing story to think of during the real MRI. If you'd like to listen to actual MRI sounds, you can search on the internet for "MRI sounds" to find a website. You may want to turn up the volume when listening and practicing lying still. 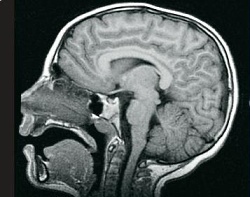 In most cases, you will be able to stay with your child during their MRI scan. Before entering, you will be screened by the technologist to make sure you can enter the room. If you choose not to go into the MRI room, a Child Life Specialist may be available to be with your child for support. Your child may be able to listen to music or a story on CD; you may bring it in case. It is important to stay very still during the MRI procedure for a clear picture. For additional ideas or support during IV start or MRI scan, please call Child Life at (608) 890-7888 or (608) 890-8096. You may also ask the MRI staff to page a Child Life Specialist. Equipment used during a nasendoscopy. Nasendoscopy uses a flexible camera that looks like a black spaghetti noodle to look in your nose, at the roof of your mouth, and at your throat. This flexible camera is called a scope. Sometimes, we call this procedure a "nose movie." When you walk into the room, you will see a chair with a computer screen next to it. This is the chair where you will sit for your nose movie. The computer screen is where the speech language pathologist (SLP) will be able to see your nose, the roof of your mouth, and your throat with the flexible camera. During the nose movie, the SLP will probably ask you to do things like swallow, say words, or make sounds with your voice. Your most important job is to sit as still as you can. Before the SLP looks in your nose with the flexible camera, they may give you some spray in your nose. This is so that you won't feel the flexible camera as much during the nose movie. Some kids say the spray feels like getting water up your nose when you go swimming. Other kids say it makes your nose feel tingly inside. Not all kids use the spray. Your parents and SLP will decide what is best for you. When it is time for the nose movie, you will sit in the chair, usually on your mom's or dad's lap. There might be someone else there to help hold your head still by putting their hands softly on the sides of your face. When it's time to do the nose movie, the SLP will move the flexible camera inside of your nose. You might feel some pressure or pushing inside your nose. Distraction: You can use books, toys or any other comfort item to take your child's attention away from the procedure. Children take cues from their caregivers, so it is helpful to remain calm. Ask about Child Life: A child life specialist can help provide support to you and your child during the procedure. Please contact Child Life for further assistance (608) 890-7888. 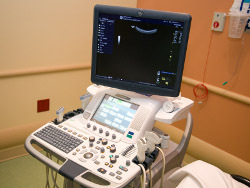 This is a picture of an ultrasound machine. The camera doesn’t make noise, but you will hear the person talking to you during your ultrasound. You may even be able to watch a movie. In order to make the pictures show up on the screen, the technologist will apply some clear gel on the camera wand. He or she will touch the camera wand to the part of your body being looked at. This may feel cool and slippery. A probe (camera) is used on your skin to take an ultrasound picture. To get clear pictures, it is important for your child to stay very still. For additional ideas or support during your ultrasound, please call Child Life at (608) 890-7888 or (608) 890-8096. You may also ask the Ultrasound staff to page a Child Life Specialist. The VCUG room looks like this. 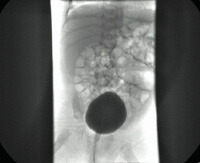 A VCUG (voiding cystourethrogram) is a type of X-ray picture taken of the bladder and urethra during urination (pictures that are taken while you pee). A nurse will place a small, flexible tube into the place where you pee. You need this tube so that special water, called contrast, can be put into your bladder. This contrast helps the doctors see your bladder in the pictures they are taking. Why do I have to have a VCUG? You need a VCUG to make sure your bladder and kidneys are working okay. It lets us know if you have “reflux” (if urine backs up into your kidneys when you pee). When you come to the hospital, you will check in at the Diagnostic & Therapy Center on the first floor. Before going to your room, you will have your vitals checked (how much you weigh, your temperature and blood pressure). You will then go to your room and meet your nurse. She will ask you and your parents a few questions and if you want, you can change into special hospital pajamas. Your nurse may have you take some medicine to help you relax. While waiting, you can play with some of the toys you may have brought or ask for a movie. This is a VGUG picture of a bladder with fluid in it. When it’s time for your nurse to put the little tube in, you will lie down on the bed in your room. If you are a girl, you will sit with your feet together and your knees out, like a frog or butterfly wings. If you are a boy, you will lie on your back with your legs straight. You can practice before they start. The nurse will clean the area where you "pee." This will feel cold and wet. The nurse or doctor will put a thin, flexible tube, into the place where you "pee." This tube looks like a small straw. This can feel uncomfortable. It may be helpful to sing, take deep breaths or count during this. What do you think will help you? It only takes a minute, and you will be covered up as soon as the tube is in. Don't forget, your mom and dad will be right by your side! How does the VCUG work? Once the tube is in, it's time for your special pictures to be taken. You will go to a different part of the hospital, G.I. Radiology. There you will meet a technologist who will help the doctor with the test. You will get up onto a skinny table like in the picture above. The table is hard, but there will be a sheet and pillow under you. Your mom and dad (or caregiver) will need to put on a special apron for this test. The technologist will use an x-ray camera to take a picture of your belly. While the doctor is looking at that picture, the technologist will hook the special water up to the tube your nurse put in. This will not hurt. A different camera will be pulled over you, just like in the picture. This camera will not touch you but it does make beeping and whirring noises. Special water will run through the tube into your bladder. You will be able to see this on what looks like a TV screen. The only thing you need to do during this time is lie still. When your bladder gets really full and you feel like you have to go to the bathroom, the doctor will have you roll onto each side and take more pictures. The doctor will have you pee into a special potty right on the table, and they will take more pictures. As you start to go "pee," the thin tube will come out. You shouldn’t feel the tube come out! When they are done taking the pictures, you can get up and get dressed. Good job, you should be proud of yourself! 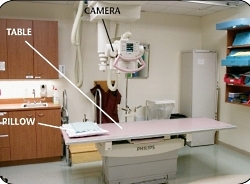 When you get to the X-ray room (see below), you will meet someone called an X-ray technologist. This person will take your pictures. The lights in the room will be dim and you will see a flat, hard, bed that looks like a table. Above this bed you will see a large square camera. The technologist will help you into the correct position and move the camera before taking your picture. Sometimes instead of lying or sitting on the table, they may have you stand. Your Mom or Dad can stay in the room with you. They will be asked to wear something that looks like an apron over their clothes. When the camera is taking your picture, you will hear a click and beeping noise. When you get on the table, it might be a little cold and hard. The technologist will place the film, which looks like a black square, under the area you are having X-rayed. The technologist might put a white sheet over the film. Next, the technologist may place a small, heavy "blanket" over your hip area, which is not being X-rayed. The X-ray machine does not touch you. Getting the X-ray doesn't hurt. However, in the case of a broken bone, moving it for different pictures might hurt. Encouraging your child to take deep breaths or look at a toy or book may be helpful. To get clear pictures, it is important for your child to stay very still. For additional ideas or support during the X-ray pictures, please call Child Life at (608) 890-7888 or (608) 890-8096. 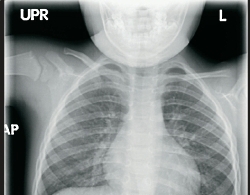 You may also ask the X-ray staff to page a Child Life Specialist.